I've done what I threatened to do, and that is start another Blog devoted strictly to showing my more offbeat artwork. It's live now with its first posting at hoffmanprogressreport.blogspot.com I encourage you all to join up there publicly so I'll have an idea how much time & energy to devote to it. In fact there's so much unseen artwork I intend to display there that I had to start way back at the beginning of 2013. 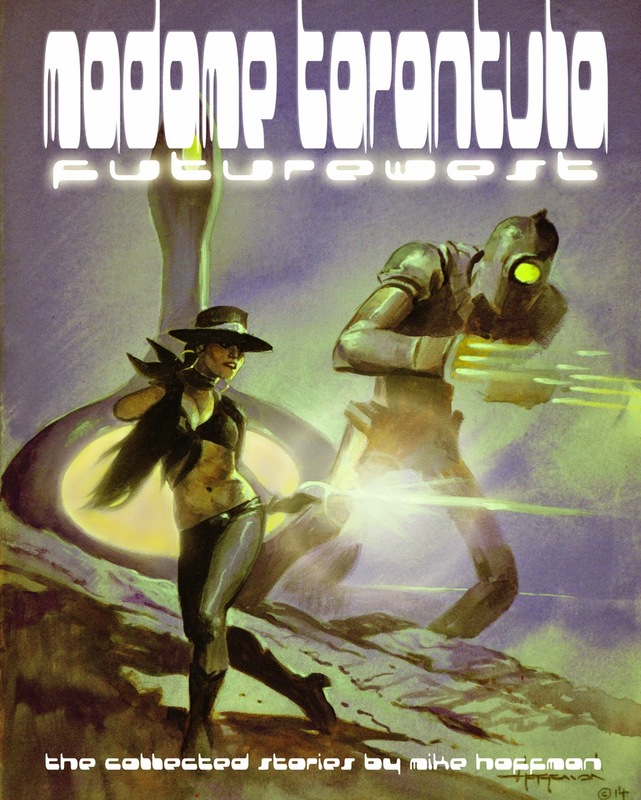 "Madame Tarantula Futurewest" collects all Madame Tarantula Comics to date plus some new material. 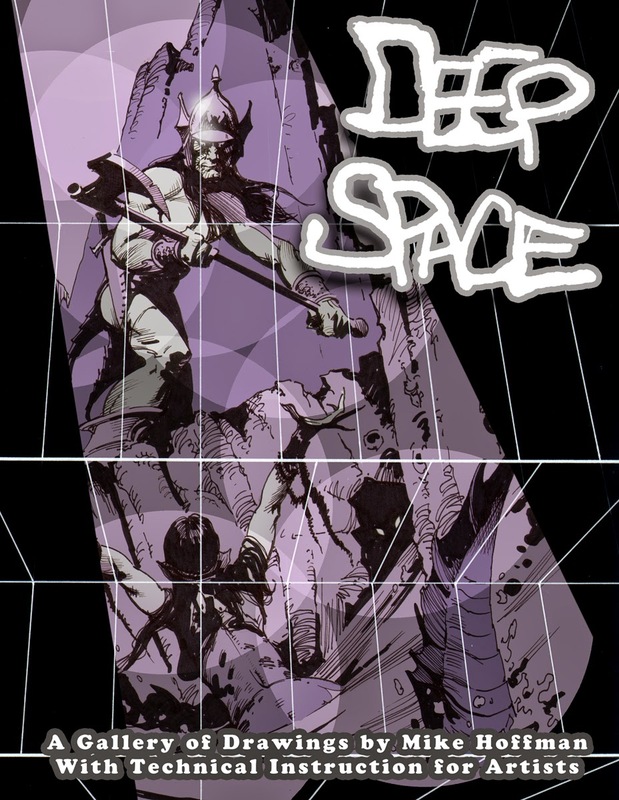 "Deep Space" is not only a gallery of recent ink drawings, but also offers technical instruction and custom perspective grids for artists.